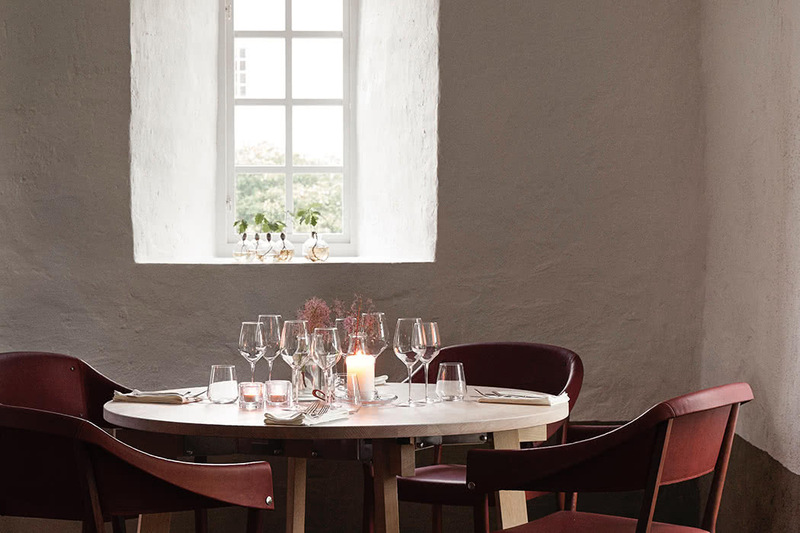 For a totally charming location north of Copenhagen in Sweden, check out Wanås Restaurant Hotel, where food and design meld in a heavenly, relaxed setting. 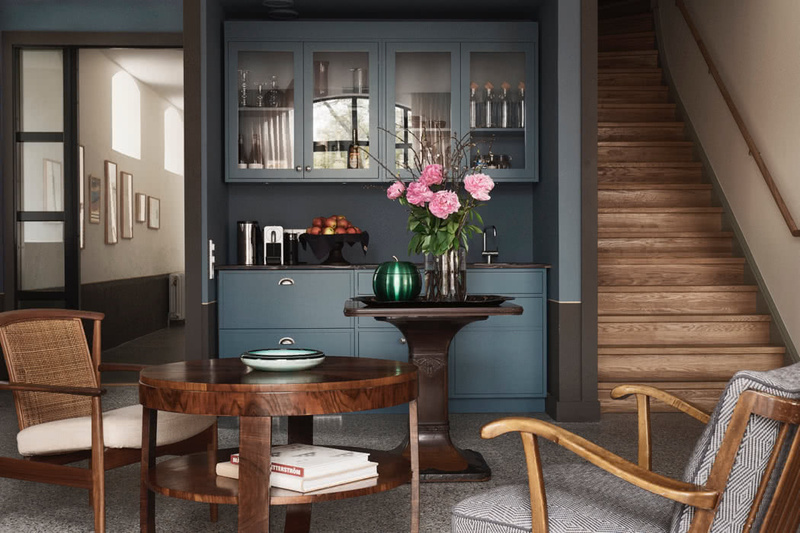 The hotel is perfectly located for exploring Copenhagen and is located 1.5 hours from Copenhagen Airport in Skåne in the south of Sweden. 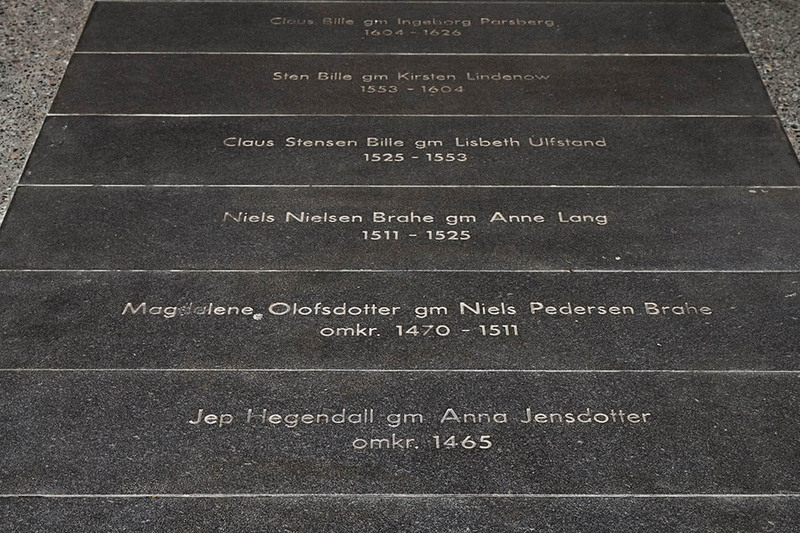 It is best accessed from Kristianstad Airport or via the international Copenhagen Airport where there are trains links to nearby Hässleholm (the nearest train stations are Hässlehom and Kristianstad). 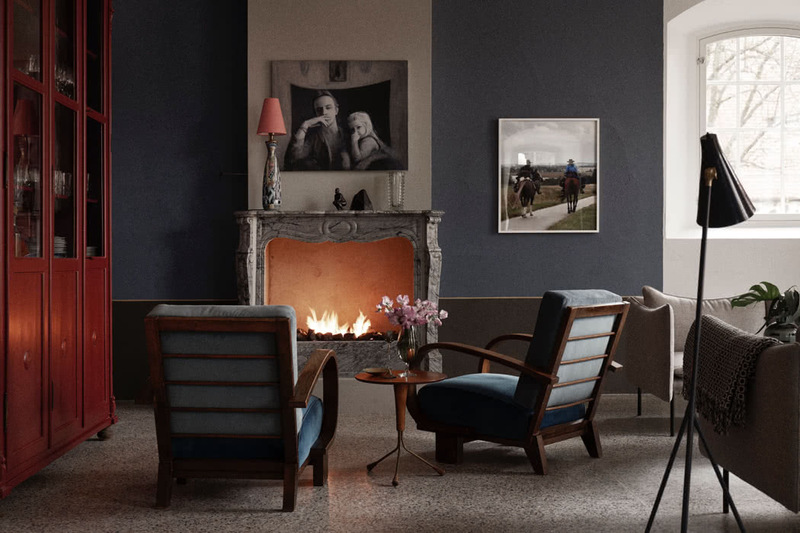 The hotel sits on the historic Wanås Estate in the midst of a majestic beech forest and is surrounded by the stunning and well-renowned sculpture park: The Wanås Foundation. 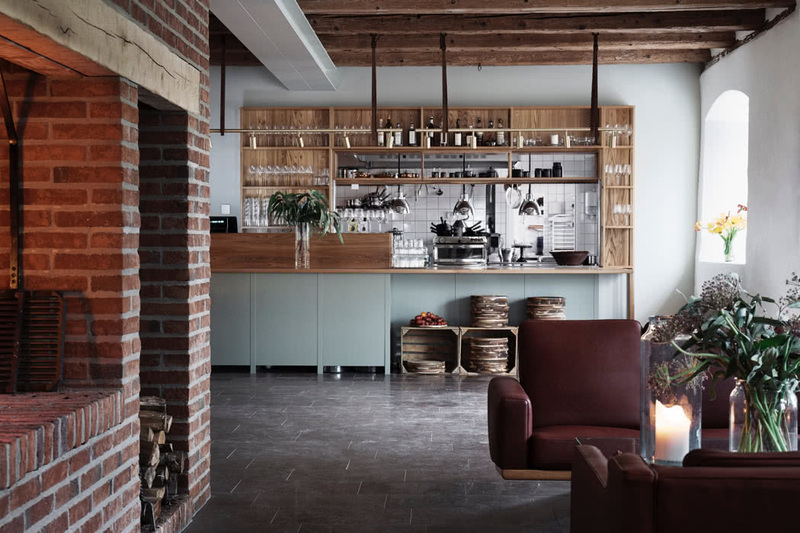 The hotel itself is housed in 18th a listed converted century historic building with hugely thick walls that measure almost a metre – sound-proofing is not a problem here! 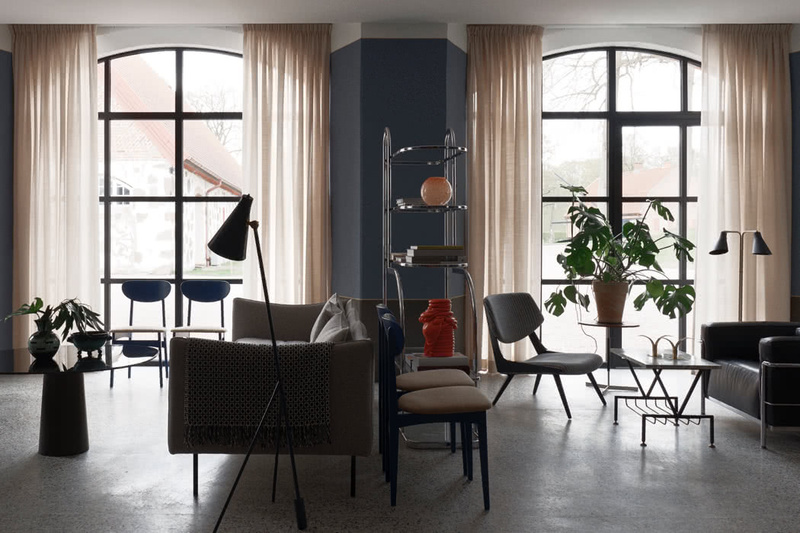 The hotel perfectly balances the old and the new; mid-century vintage classics sits alongside contemporary Nordic design and art and specially designed furniture. 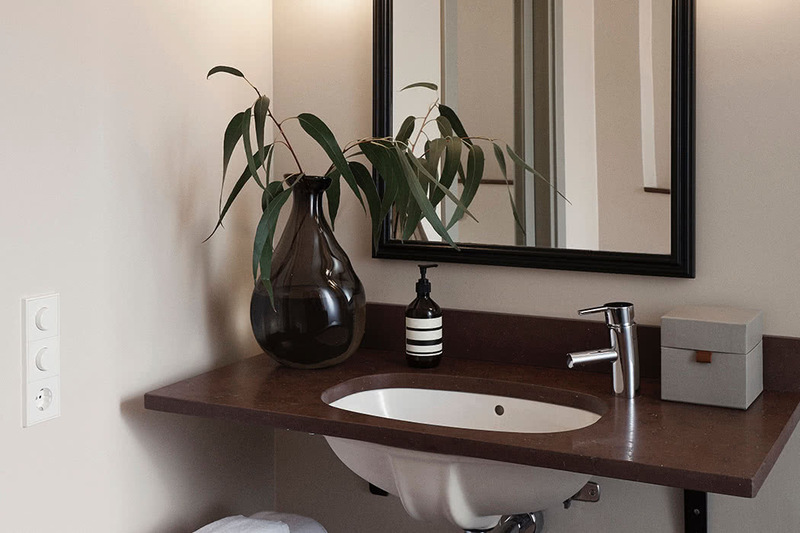 The overall ambiance is chic, peaceful and relaxed, and envelops you as soon as you arrive. Sustainability is important here too; local products and materials sourced from the Estate are used throughout and the entire estate is certified as organic and sustainable. 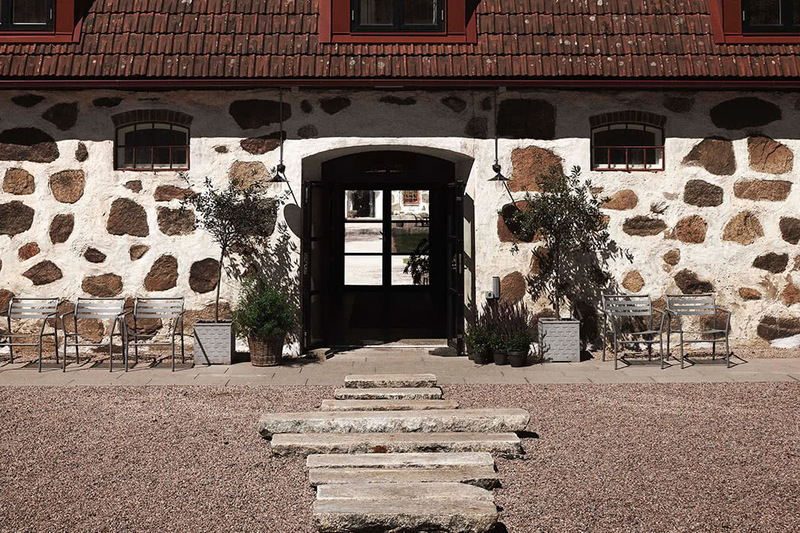 As well as the hotel, restaurant and sculpture park, the estate is home to a modern organic farm producing dairy, dry-aged beef, grain and vegetables. 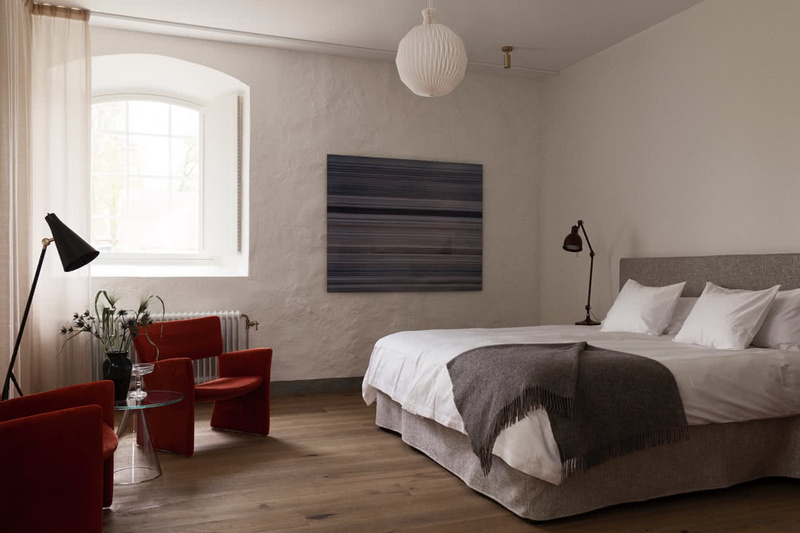 There is also the beautiful 15th century Wanås Castle, a lake and an Art Gallery that is part of the sculpture park, all waiting to be explored by hotel guests. Inside, there are several inviting communal areas; the lobby is home to a fireplace, there’s a sunny courtyard perfect for a relaxing read with a glass of something chilled and a mudroom which really comes into its own when it’s slightly less sunny! 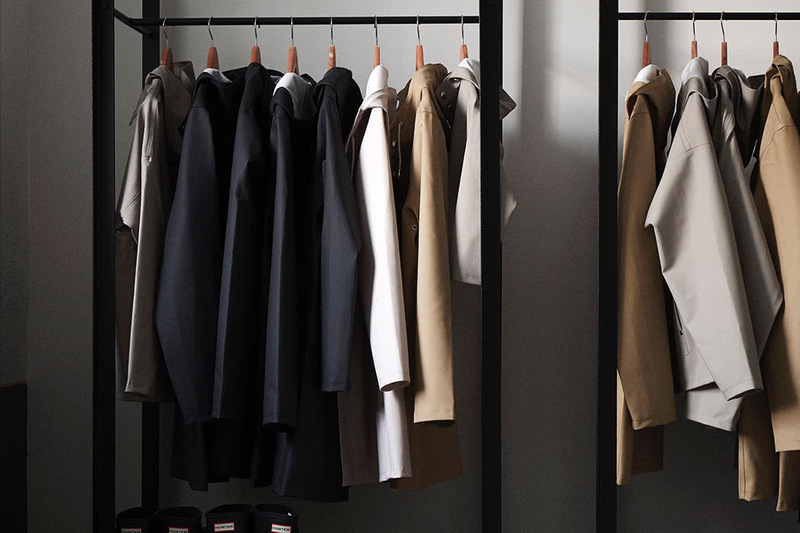 The service is as divine as your setting, it’s the little extras that really stand out; they lend you boots and raincoats for exploring on muddy days and the rooms include wonderfully, fluffy bathrobes. There are eleven individually decorated and exceptionally stylish double rooms in this boutique setting. 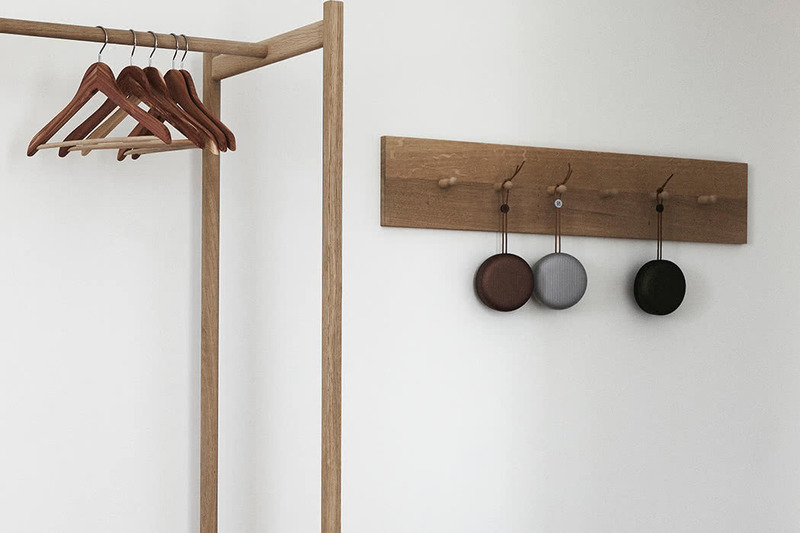 All have vast beds, contemporary art, custom designed furniture and a calming Nordic simplicity. 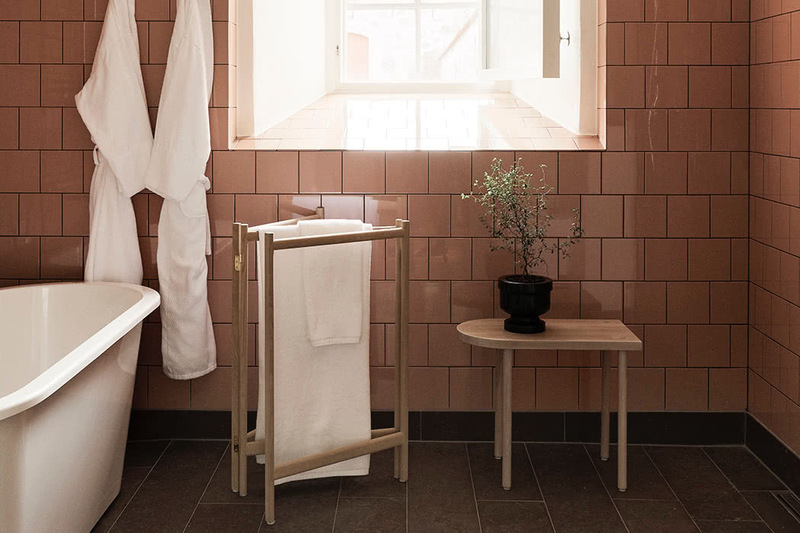 The bathrooms are a treat; with vintage-pink tiles and limestone floors, request one of the rooms with both a bathtub and shower to ensure an extra-bubbly laze before dinner. Food is basically an epic part of any stay here! 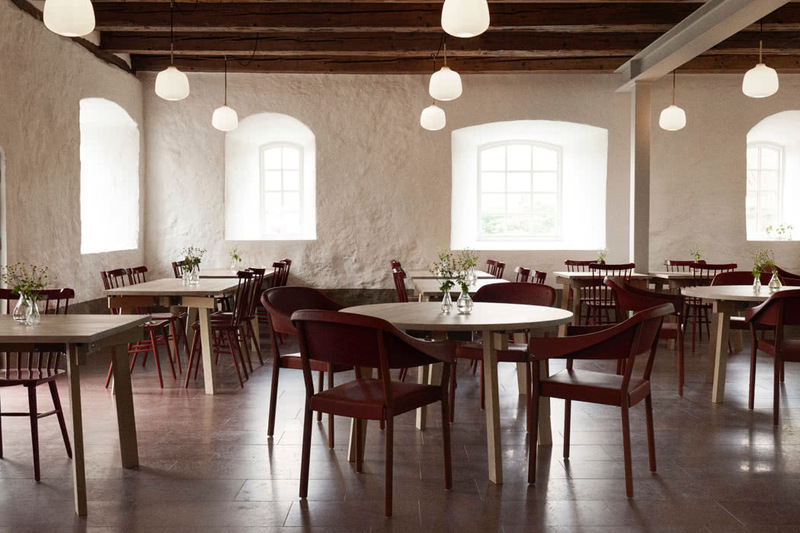 The spacious Wanås Restaurant is located in a converted 18th century barn with a sociable, open kitchen. On chilly evenings, the brick fireplace is welcome and in the summer months, the terrace and lawn come alive with the sounds of happy diners. 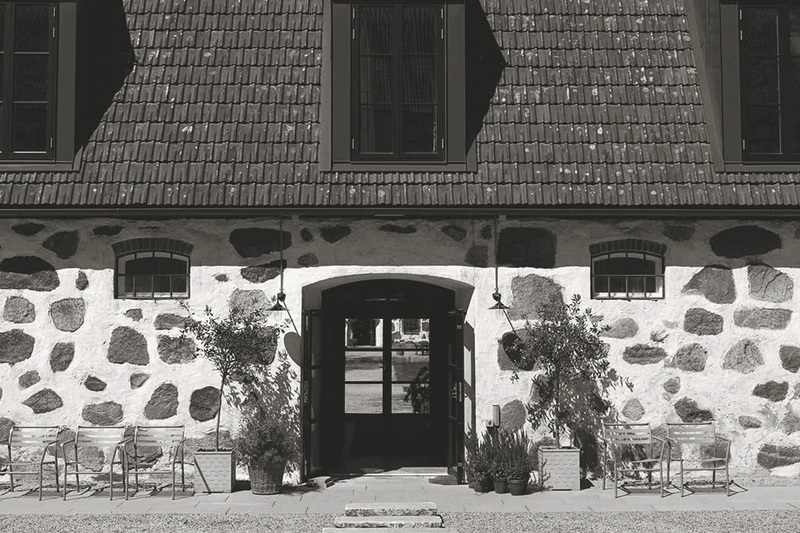 The seasonal cuisine is totally influenced by the surroundings; local ingredients take centre stage – game, mushrooms and berries from the forest and milk, meat and vegetables from the farm are turned into delicious Swedish masterpieces.